Over the last few weeks, my schedule in the newsroom was a roller coaster ride of responsibilities. Last weekend, I tracked grass fires and fireworks for the evening news shows. During the week, I produced slideshows and logged a news conference on a scary house explosion for the website. I suppose it all adds up to a typical week for the gal who produces shows and web content. When I survive the work week, I hit the road in search of new flavors and comfort food. Thank God for my hubby and friends who enjoy eating and drinking. 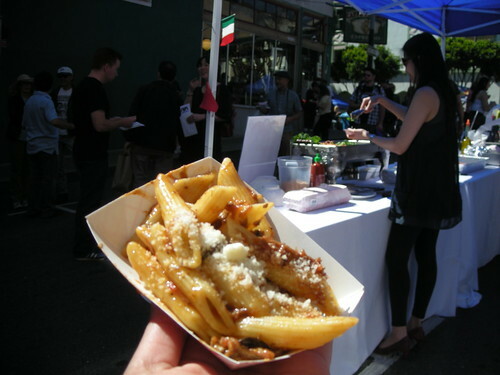 A few months ago, Susan invited us to the first Noodlefest in San Francisco. North Beach and Chinatown restaurants blocked off streets and served up tasty twists on noodle dishes. From San Francisco noodles to Lodi Wine – we checked out LangeTwin’s BBQ party at the Tin Roof with Susan and Tom. 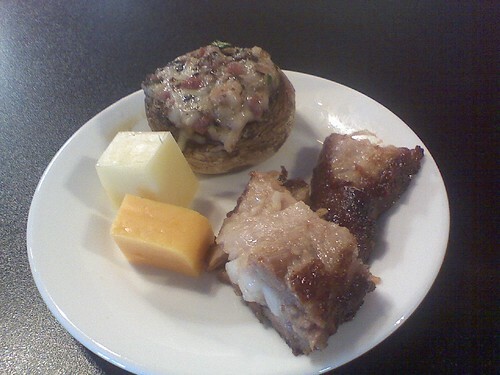 The ribs were so tender and I couldn’t stop popping the stuffed mushrooms. Mark and I fell in love with the 2008 Petite Sirah Petit Verdot. That bottle prompted us to become wine club members. For Mark’s birthday weekend, we checked out the Raley Field Brewfest. 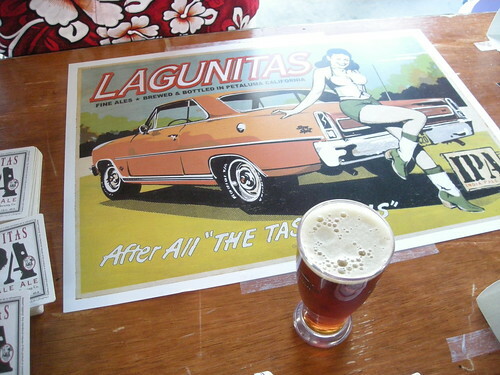 It had an impressive selection of beer makers from California and around the country. Finally, Susan and Tom introduced us to Compassionate Chefs at New Dehli. 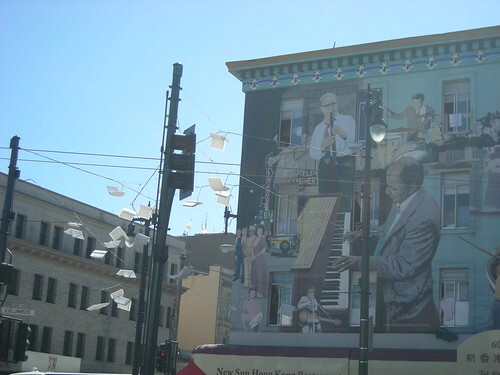 This fundraiser made sure Tenderloin students had the chance to make beautiful music with the help of world-class musicians. 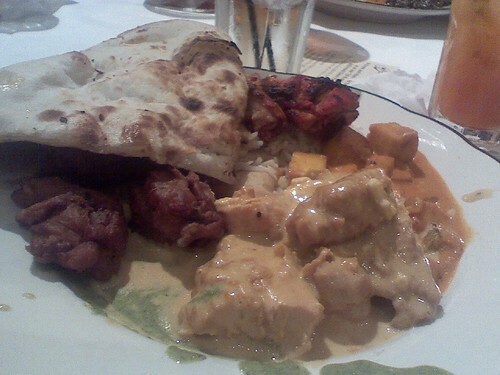 For a small price, we ate amazing Indian food and a did a little belly dancing. OK – I was the idiot who allowed herself to be pulled up for the belly dancing. Seriously. Yes – there is video of the dancing. No, I don’t know if I’m posting it. We also met Miss United Nations. 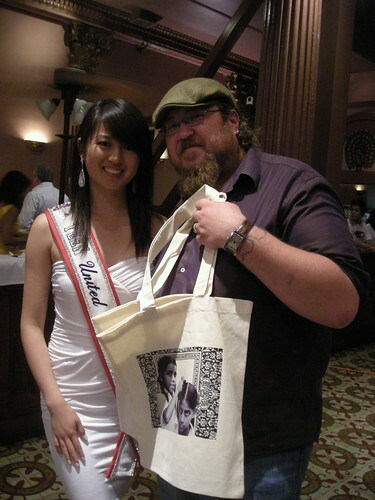 At the time, Miss Chinatown was not wearing her sash – so I couldn’t pick her out from the crowd. Ahoy Facebook peeps and RSS readers – wanna see a cool photo of me aiming an HD camera? You can by checking out the Raley Field slideshow on my blog.